You’re now the proud owner of a new hvac split or package unit that’s going to keep your home or office at the ideal temperature throughout the year. We take pride in providing our customers with the absolute best products available. Not only do you get to enjoy quality, but also the peace of mind that goes along with having a system that’s fully covered by a warranty from the manufacturer. Since every company has their own unique terms, refer to your ownership booklet for any specific questions about the extent of your warranty. One thing to keep in mind is that most companies require standard system-upkeep in order for your warranty to be valid. We can take care of this requirement for you with our Maintenance Services plan. Not only will our plan meet the maintenance requirements of your warranty, but it will also keep your bills low by ensuring your unit is always running at maximum efficiency. New equipment comes with 1 year labor warranty, Service repairs have a standard 30 day labor warranty. 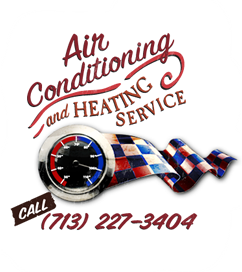 Are You Dealing with an Older Heating or Cooling Unit? If you don’t know if your current unit is still covered by the manufacturer, don’t hesitate to get in touch with us. Not only will we clear up this issue for you, but you can extend your protection by having us check it out.